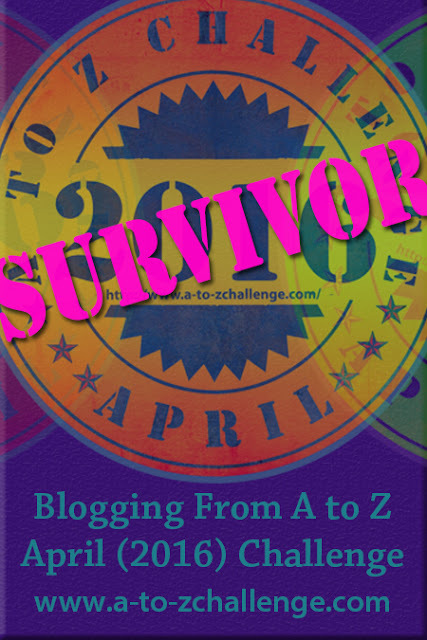 I thought I'd check in because I just realized I haven't blogged in TWO WEEKS. Yikes. I dunno, I just haven't been feeling it lately. I guess that's because my focus has been more on the second draft of Uneven Lines. Which is good. Really good. I finally caved and got a group of readers to send each chapter to as I write them. I think it's good way to motivate myself, since I now have people actually waiting for the next chapter. I've finished the first three chapters so far, and I think without this I still would only have one done. I've read one book toward my goal of 100 for the year. So yeah, that's clearly going well. So that's it, pretty much. Not all that exciting, I know. But surprise surprise, I have to go get ready for work now. When Do You Hold Back? Thanks to everyone who stopped by on Wednesday for IWSG. 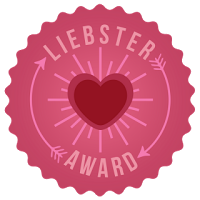 I loved reading all of your comments, and I got eight new followers that day (woohoo!). Bout of Books is not going so well. I finished my first book this morning. I don't know what I expected, really. I barely have time to think, let alone read! But I'll keep going. I have this Sunday off. It's a miracle! No, really, I requested it off, though. I kinda want to watch the Golden Globes. What? Don't look at me like that! Award shows have a weird way of motivating me. Work is driving me nuts. I'm exhausted and barely have any time to do what I actually want to do in life. I'm considering more and more the idea of taking some time off just to write. I mean, quitting my job and not getting a new one for a few months. But the thought of that is also terrifying. I know I'll have to plan it out a lot before I even consider it. I'd like to be in a better place with my writing before I do. I'm thinking of taking a vacation at the end of March to figure things and out and just write. I also have my trip to New York in February that I'm excited about. Maybe it'll give me an added boost of motivation. Oh and I did finally book a hotel room and bus tickets, so now it's all about figuring out what to do while we're there. I'm so excited! I am, however, feeling a bit more motivated to work on the second draft. I even wrote a few sentences. Maybe Jordan's finally back from whatever rampage he went on since his birthday. Muses can be fickle. I still haven't quite figured out how to map out the next few chapters. But I'm taking it one step at a time. I know what needs to happen next, so I'll just work on that for now and see where it takes me. I did something interesting as well, inspired by one of the comments from Wednesday--I don't write in multiple POVs, but I did write a short little piece in the POV of the other character. And it actually helped me to figure a few things out. It is important, even when writing in first person, to consider what the other characters are feeling. That way their actions and responses can be more genuine. It's that time again! The day for The Insecure Writer's Support Group. This month I have the honor of being a co-host. As always, the IWSG is hosted by Alex J. Cavanaugh and my fellow co-hosts this month are Bob Milne, River Fairchild, and Julie Dao. I'm looking forward to checking out a lot of blogs today and meeting some new people. I should probably admit that I've been avoiding writing the second draft of Uneven Lines (Ooooh. Sorry, actually having a title kind of gives me chills. It's so shiny!). I did already rewrite the first chapter, but that was the easy part. 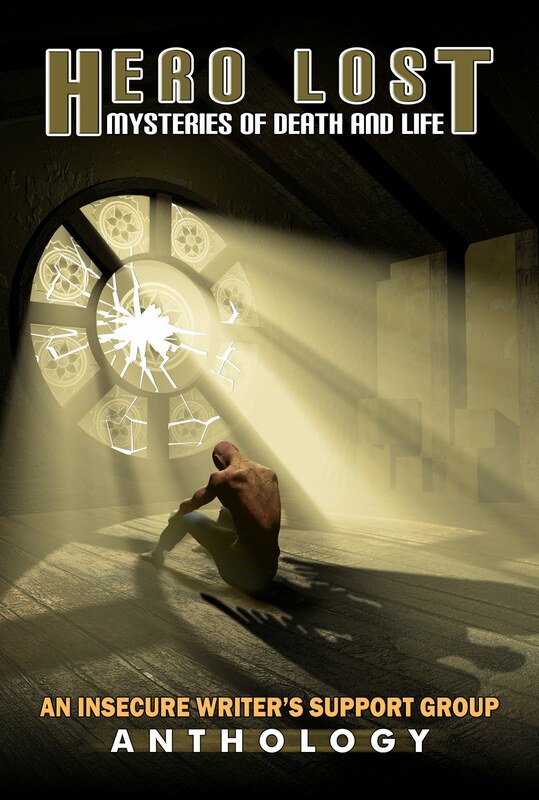 Nothing in the first chapter had to change, structurally speaking. The things that happened in the first draft are the same things that happen in the second, just with a whole lot of new words to tell them. Now I'm faced with Chapter Two. And it's not nearly as simple as the first. I knew that in the second draft I was going to have to break the existing chapters down, often having each scene be its own chapter. Most of the chapters in the first draft were too long, so this seemed the most logical way to make them shorter. I also find that having a lot of scene cuts within a chapter can be disjointing for the reader. But it's easier said than done. Chapter Two has three scenes in it, but I really don't feel like any of them can stand on their own. But together, the chapter feels jumpy. The scene cuts bother me. So I'm not sure what I should do. I've thought about rearranging. I could put the first and third scenes together, but the third scene reveals something that I don't want revealed right away. And the second scene isn't nearly strong enough to be its own chapter. I don't want the reader to be bored so early in the book. Then that makes me wonder if I need the scene at all, but without it the subplot won't get started early enough. I guess the easiest answer is to rewrite, rewrite, rewrite. This is probably the hardest chapter to figure out. Most of the scenes later on in the book will be able to stand on their own as chapters. I probably need to write some new scenes to help make these early chapters stronger. Which isn't so bad, really. I love writing new scenes. So how do you deal with rewriting weak chapters? Do you find you have to rearrange a lot of scenes when you start editing? I hope everyone has a good day. I certainly will because I got the day off work to go visit as many blogs as I can! I know, I know, it's the first Monday of the month and usually my muse takes over. But it feels like Jordan and I have kind of taken a break from each other since the 100th blog post. Hopefully this little vacation will be over soon so I can get back to work on the second draft. Neither of us was really feeling the post today, plus I have a few announcements to make, which isn't really his thing. At all. Maybe if he comes up with something good to say, I'll let him take over next week. 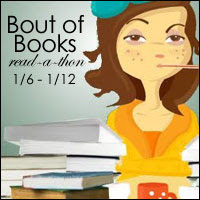 First off, today is the first day of the Bout of Books read-a-thon! Not making a lot of progress so far, but I do have the day off (unexpectedly), so there will be lots of reading later on. I don't really have any goals in mind, since I don't usually read at all, so my goal would be just to get any reading done. I did something crazy over the weekend. I ordered a Kindle. Shocking. I know. I've always sworn I would never get an e-reader. I like holding an actual book in my hands. I have two major reasons for getting one, though. One being that I live in a studio apartment and barely have enough room for the books I already own. Two, I've been wanting for like, ever to start reading the books of my fellow bloggers. I think getting the electronic versions will be the easiest (and honestly, cheapest) way of doing so. They'll be easier to keep track of, I think. Hopefully I won't have a nervous breakdown trying to read books on a screen. I'll let you know how it goes. $99.15. Not bad, if I do say so myself. All right, one more announcement! 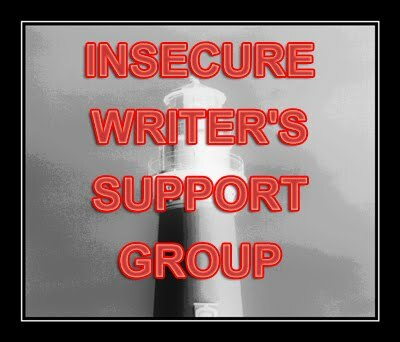 This Wednesday is the posting day for The Insecure Writer's Support Group. And I'm co-hosting this month!! I'm really excited. If you haven't signed up already, you really should. It's a great support system of bloggers--you can vent your own insecurities, help others with theirs, and meet some great people. Ok, I'm done. I swear. Oh wait, not really. If you look on the right side of my blog, you'll see I changed my Goodreads widget to show my challenge for 2014: 100 books! I know, I'm crazy. It'll never happen. But as usual, I'm going to try. Ok, ok, so I'm pretty much forcing myself to blog right now. I have to go dig my car out of the snow so I can get to work tonight (hooray! ), and there's no gas in it so hopefully it starts! Nah, should be fine. Right? So! I guess this is the part where I talk about resolutions. Well, I don't really have any. I've tried making them before but it never really works out. Just like every year I buy a planner and use it for about one week before never touching it again. So I didn't buy one this year! It would just be all the usual nonsense anyway--write the second draft, lose weight, get poems published, blah blah blah. I've needed to do all that stuff for a while anyway. But what I've been really slacking on lately is reading. Don't get me wrong, I love to read. Most writers do. I actually think I write better and more often when I'm reading. The problem is that I don't have a lot of time. Once you factor in a full time job, sleep, household chores and errands, and well, TV, I'd rather spend my free time writing. 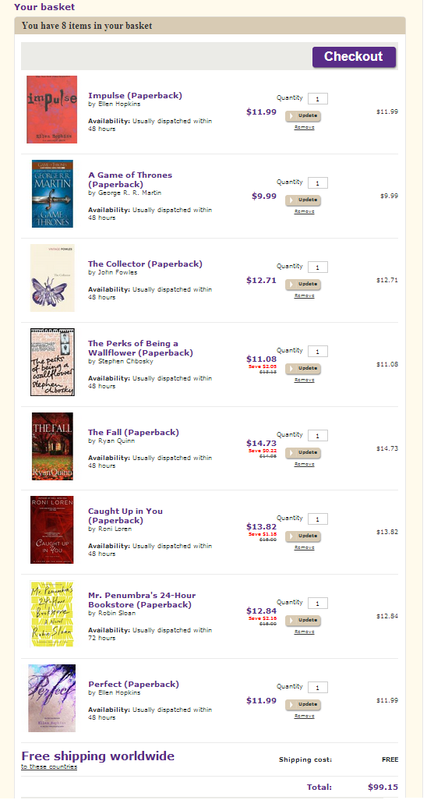 But I think this year I want to get a head start on my reading goals. Every year I say I want to read 100 books, and I always barely even make it to 20, if that. So that's it. Check it out if you'd like to sign up! I've started piling all my books that I intend to read. We'll see how far I get.